Keeping your cloud machine instances secure is of paramount importance, but it's often hard to troubleshoot and expensive. An Elastic Load Balancer can help with that. The problem with this second architecture is that you have no way to get to those servers for troubleshooting: The definition of a private subnet is that it does not expose servers to the Internet. It turns out that you've already got a bastion host in your public subnet: the ELB. You might think of your ELB as just front-end for your webservers: It accepts requests and forwards them to one of a fleet of servers. If you get fancy, maybe you enable session stickiness or do HTTPS termination at the load balancer. But what you may not realize is that an ELB can forward any TCP port. 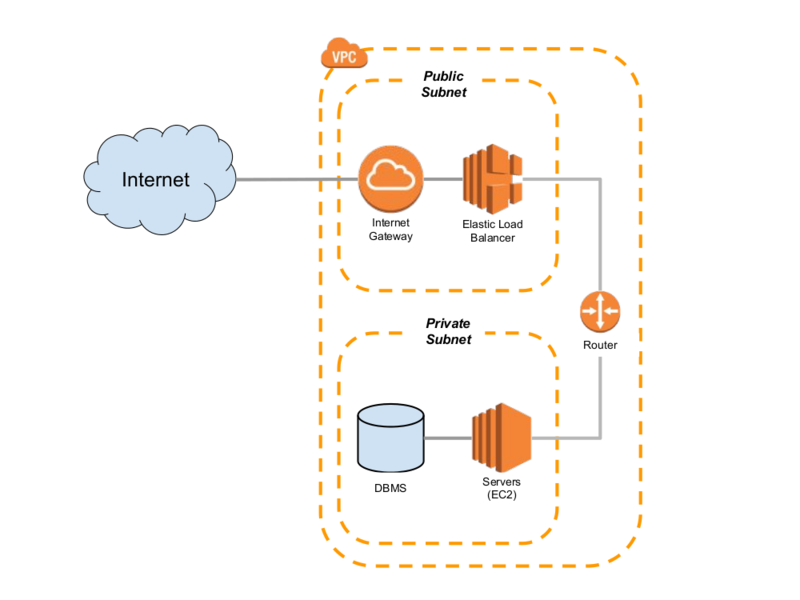 Actually, the definition of a public subnet is that it routes non-VPC traffic to an Internet Gateway, which is a precondition for exposing servers to the Internet. However, this isn't a sufficient condition: even if you have an Internet Gateway you can prevent access to a host by not giving it a public IP. But such pedantic distinctions are not really relevant to the point of this post; for practical purposes, a private subnet doesn't allow any access from the Internet to its hosts, while a public subnet might. I should clarify: the Classic Load Balancer can forward any port; an Application load balancer just handles HTTP and HTTPS, but has highly configurable routing. See the docs for more details.